Today 4301 N Sunset Cliff Place was listed for 325K. This Monterey-built one-story home has almost 2,100 square feet and boasts granite counter-tops, some tile floors and stainless appliances. 4182 N Quail Canyon, at a list price of $1,099,000 went under contract after only being on the market 51 days. This 2004- built, 4,250 square foot home had been the original builder’s (Sundown Builders) own home before it was sold the first time. Sundown Builders built at least one other home on Black Rock Drive. This gorgeous Santa Fe sold for $1,449,000 three years ago. Recently, in the Catalina Foothills, we have seen more sales in homes that are aggressively priced with list prices over a million dollars. 4493 N Little Rock, a Pepper-Viner built, one-story home with about 2,200 square feet, closed escrow today at $250,000. (Click on the address to see the listing, photos, etc). 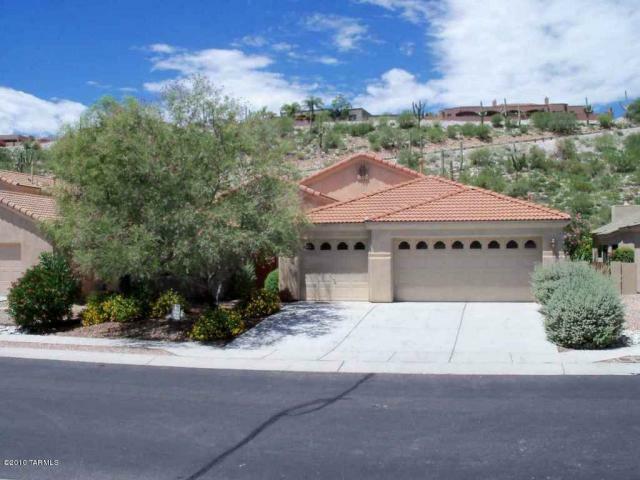 This home was a great buy–has a 3 car garage and did not seem to need to much work. 4224 N Boulder Canyon was listed yesterday at $575,000. 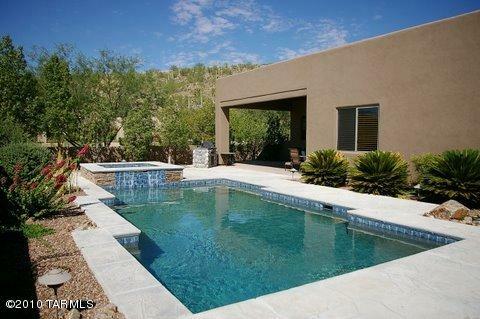 This Outpost-built, over 3,300 square foot home, has the popular large open entertainment floorplan. Keep in mind, many short sales do not end up closing, because the bank has to approve the offer. Many potential buyers are not interested in looking at short sales unless they are “pre-bank-approved short sales”, because lenders may take a long time to review offers and may find the offer prices (and the list price) too low for them to accept. By reviewing the notes on this listing, the list price was not pre-approved by the lender. However, some short sales do work and close at a final sales price close to the listing price. 4054 N Boulder Canyon sold for 535K. 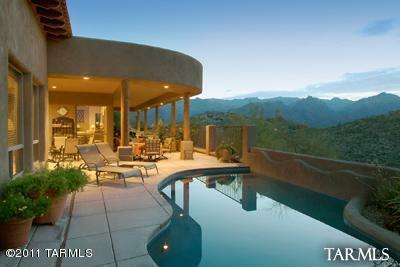 This first Sabino Mountain sale of 2011 is an Outpost– built semi-custom home with 2,600 square feet. It is in excellent condition. The original price for this home when it was new in 2004 was 432K, and later the owner put in a pool and spa. (Click on the address to see the photos and listing information). 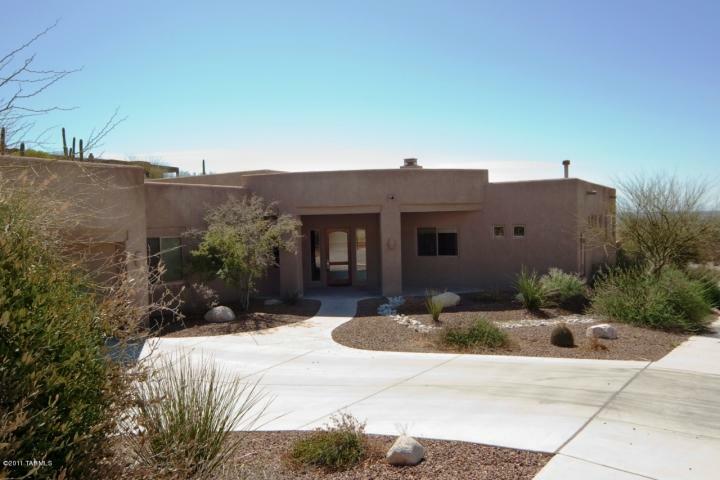 See the attached list–only 4 homes listed for sale in Sabino Mountain. With low inventory, this is a good time to list your home for sale. Here are the homes: a one-story with pool Pepper-Viner foreclosure for $331,500; a two-story Monterey at almost 3K square foot with first floor master suite and pool and spa for range $400,000 – $425,000, a semi-custom Monterey home on Black Rock Drive for 975K, and lastly, a custom home on Sabino Mountain Drive for $1,099,000. You are currently browsing the Sabino Mountain Blog blog archives for March, 2011.